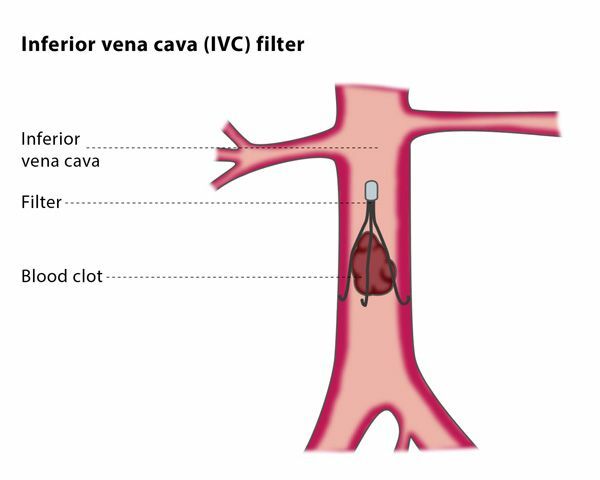 What are IVC Filters Concerns? A specific IVC Filter recipient sued Bard after a G2 filter implanted in 2006 fractured and migrated to her heart in 2008, causing ongoing heart issues. This recipient declined to have open heart surgery to remove the fragment and now must take blood thinners for the rest of her life. She claims Bard failed to warn her physician of the G2’s risks and misrepresented the device as safe. She sued for physical trauma, anxiety and impaired ability to earn wages. A recipient and her husband filed a lawsuit against Bard after a G2 filter was implanted in her 2009 fractured limb in 2011. The device migrated to various parts of her body, damaging her heart and lungs. The recipient claims to have suffered a loss of normal life, pain, suffering, disability, disfigurement, impairment and emotional trauma. Her husband also claims to have suffered a loss of consortium – society and companionship – with his loving wife. According to the lawsuit, Bard was negligent in its design and misrepresented the filter as safe and effective. A recipient and spouse accused Cook of recklessly designing, testing and manufacturing its Celect filter. A doctor implanted the filter in the recipient after a knee surgery in 2010 and it fractured and migrated to the heart in 2014. The recipient lost consciousness while driving and underwent three subsequent surgeries as a result of the complication, according to the lawsuit. The complaint seeks damages for the recipient’s pain, emotional suffering, inability to enjoy daily living, scarring and lost wages and the spouses loss of consortium. Drugwatch - also reports that a 2013 study in the Journal of the American Medical Association (JAMA) examined the management and complications of IVC filters in 952 patients. About 680 patients received retrievable IVC filters, and doctors were only able to successfully remove 58 of them. The Moody Law Firm is currently representing patients nationwide who have suffered complications from the IVC Filters If you or a loved one have been injuted as a result of the IVC Filters, you may be entitled to recover damages in a lawsuit against the manufacturer. Please contact us.